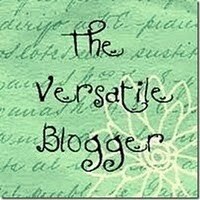 Sherrie Scraps with passion: More Blog Awards~Yipee!! Woweee, check out all these awards!!! You guys are SO good to me :) There are SO many great blogs out there and talented people that I have had the opportunity to get to know through blogging~it just amazes me the friendships I am beginning to build! I appreciate all of you!!! Thank You so much!!! 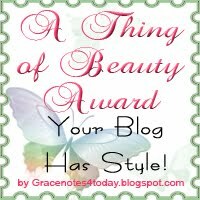 I want to thank AMY at Amy's Crafting Space for passing me the following blog awards yesterday! I am so honored that she enjoys my blog and passed this to me. I am happy to receive them. Thank you again Amy! I hope you stop over to her blog and become a follower of her blog. I have enjoyed visiting her blog and I am so inspired be her projects. You will enjoy her work, I promise!! 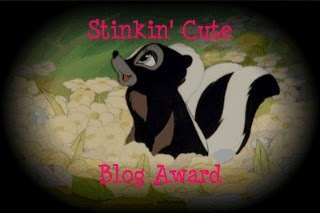 I also want to shout out a big "Thanks" for this award that I received from Stacy over at Love that Bug and to Adrian over at By Adrian 4 U for this stinkin' cute Blog Award!!! Thanks again for visiting me and have a GREAT day!!! Awe, your so sweet! Probably why you got the irresistibly sweet award. Hi, can you tell me how a person earns these awards. Do you have work for them or what. I notice a lot of people or their blogs are earning them and I was just wonder how people earn them. Congratulations on your awards, Sherrie! Well deserved - I'm always impressed with your projects! You're invited to a BBQ! Cricut 360º Challenge Blog Launch!! Winner of the Cupcake Birthday Blog Hop!!! 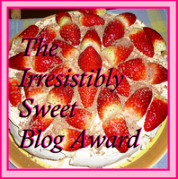 The Irresistibly Sweet Blog Award! I heard it's your special day!! Blog Candy over at Chick-n-Scrap! !